There’s something exciting about pairing the old with the new, the known with the unknown. It has an irresistible appeal. You can have your comfort and your adventure at the same time. This week’s tasting does exactly that. And it happened quite by accident, as if it was meant to be. In shopping for the Chardonnay of last week’s tasting, I actually left The Wine Shop with two bottles of wine. (When do I ever leave a wine store with only one bottle?) The second bottle was from Italy and since we hadn’t yet ventured off the shores of the continental U.S. for our blog tastings, I thought it might be too brash a choice for last week. But when paired with The Word’s Best Comfort Food– a food that literally evokes the thought of my grandmother, Doris, in her Alabama kitchen– an Italian Chardonnay seemed just exotic and unusual enough to make a delightful pairing. As you read last week, spring definitely “sprung” early here in Minnesota. And just as we we were getting used to it, the temperatures dropped dramatically. Having become accustomed to lovely highs of 60-70 degrees (Fahrenheit, of course), the 20-30 degrees that were now arriving at night felt unnecessarily bracing to the system. Having a slice of my grandmother’s poundcake (which, as you can guess by now is The World’s Best Comfort Food, in my humble opinion) and a glass of Jermann Chard both awaiting me, I proceeded to enjoy the most delightful tasting that made an otherwise uneventful weeknight a veritable bonanza of fun. The Chardonnay was a vibrant golden yellow color with a tiny bit of a green cast. The cake was butter yellow on the inside, warm toasted honey color on the outside. The Chardonnay had a bountiful aroma, lush and full of ripe pear, melon and apples. The cake smelled sweet, like the sugar that is its single largest ingredient. The Chardonnay had all the flavors that were found in its aroma, and additionally, hints of caramel and toast that gave it a full body. The cake, crunchy along the crust edge and smooth and moist in the interior, was a creamy lemon delight, like a cozy afternoon with my grandmother sitting in her den. When I went to the Jermann website to read about the winery, I was delighted to learn that they farm their land using organic practices, “without any residual chemicals, additives or preservatives.” This seemed to be very fitting since my grandmother did not believe in any unnatural additives or preservatives, either. One of the interesting things when you pair old with new, is that you discover there are things you don’t know about even the most familiar. And there are aspects of the unfamiliar that remind of things you’ve known forever. For instance, I have been savoring my grandmother’s poundcake since I was old enough to eat solid food and yet I still don’t know why her recipe calls for the batter to be stirred only in a counter-clockwise direction. A delicious mystery. And though I had never sipped a Chardonnay from Italy (at least not knowingly), I was delighted by the degree to which the wine exhibited many of the classic characteristics of the varietal. So we raise our glass this week to the old and the new and we encourage you to join us in celebrating both what you know and what you don’t! Great post! I am a big fan of Jermann–their chard is fantastic! I just recently bought some of their Sauv Blanc and just this morning put a bottle in the fridge for tonight. Quite the coincidence? Sue Lynn, Thanks so much for your note! 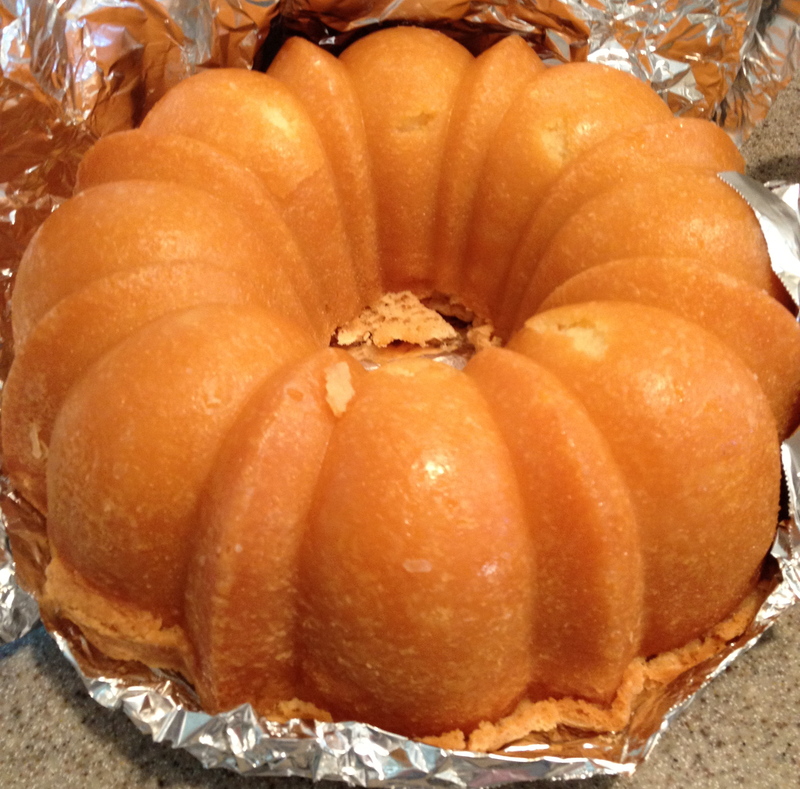 Yes, you do know the goodness of the original poundcake made by my grandmother’s hands. Sara’s poundcake is every bit as good and the taste literally takes me right back to my grandmother’s kitchen. It’s such a powerful way to connect to her memory. I am so excited to know that you had the Jermann when you were in Italy. So totally cool! Makes me even more impressed with our local wine shop, as well. Kip and I will have to explore more of the white wines from that region. Or perhaps we should just go there in person! Love you and Cheers, L.
TDC, I feel so affirmed that Jermann is a favorite of yours. You are so much more astute on Eurpoean wines than we are and I have learned from your blog that I can trust your taste buds and your wine judgment! Love the coincidence that the Jermann Sauv Blanc is chilling in your fridge right now. Kip and I will have to try it, as well. Thanks for the note and cheers!